Again with the non-movie reviews on a movie review blog! Calm down, this one’s worth it. I received a free advanced review copy from the author of a new young adult fiction novel, Salted, in exchange for an honest review. Now, we don’t normally do book reviews here. But given the amount of young adult novels making it to the big screen lately, I thought it might be appropriate to give it a shot. What if I told you I was glued to an amazing new book built around the world of vampires? “Been there”, you might respond. What about an incredible adventure story involving trolls, elves or wizards? “Done that”, I can hear you saying already. What about a dystopian future pinning humanity against itself in a fight for… oh, you fell asleep. Never fear, Salted is none of those things, but just as good as the best in all of them. The young adult genre, both in film and in print, have been more than saturated with such characters as listed above. More recently, dystopian futures have become a hit among young adults as The Hunger Games and Divergent have made their mark on pop culture. Don’t get me wrong, I’m not discounting the quality of any (well, most) of those themes, but at some point you start yearning for something different. Different characters with varied backgrounds. Different plots and motives than we’re used to seeing. Different worlds with hidden secrets. Well, I believe young author Aaron Galvin may have accomplished that with his debut novel, Salted. It’s a quality story with loads of new and interesting material that I think you’ll find quite satisfying. One of the best things Salted has going for it is the presentation of a type of world we haven’t seen much, if at all, in popular young adult fiction today. The Salt world is the “realm beneath the waves” where seemingly ordinary people are capable of transforming to a number of different sea creatures such as seals, otters and sea lions. Special suits of varying size and color, described in great detail throughout the book, grant this ability to whomever possesses them (called selkies and silkies, depending on their gender). There are also those who have a natural ability to transform, whether they know it yet or not. These individuals are often called “Salt children”, and may have you quickly comparing them to what you’re more familiar with: mermaids. These aren’t the bubbly, singing, red-headed mermaids of your childhood though. These mer-folk have much more to offer, and carry a sizeable amount of mystery to them at this point in the story. The characters in the Salt world couldn’t be more different from each other. From varying backgrounds and upbringings to a host of languages and ethnicities, these characters have to face certain realities that provide the reader with some quality story lines given the backdrop of this world. In contrast to the Salt world, we have the very common and recognizable world, not unlike the one you and I live in today. There’s nothing futuristic, no dystopian drama or extraordinary circumstances in this world. It’s everything you’re used to: families, schools, homes, etc. It may not seem as such, but the “normalcy” of this regular world is a bit of a risk taken by Galvin. The drama in this world isn’t anything you’d buy a book to read about. At least, not initially. Because of that it’s a smart move to lead with the Salt world. There are elements of that reality we aren’t used to which pull the reader forward to see how the two worlds may collide. While there is a moment or two in the “normal” world that had me wishing we’d get back to the Salt world story lines, the time spent there is more for character and relationship building, and is relatively short-lived once more is revealed about our main characters. By now you may be developing an initial sense of comfort and warmth with this story. I’ll invite you to promptly kick those feelings to the curb. 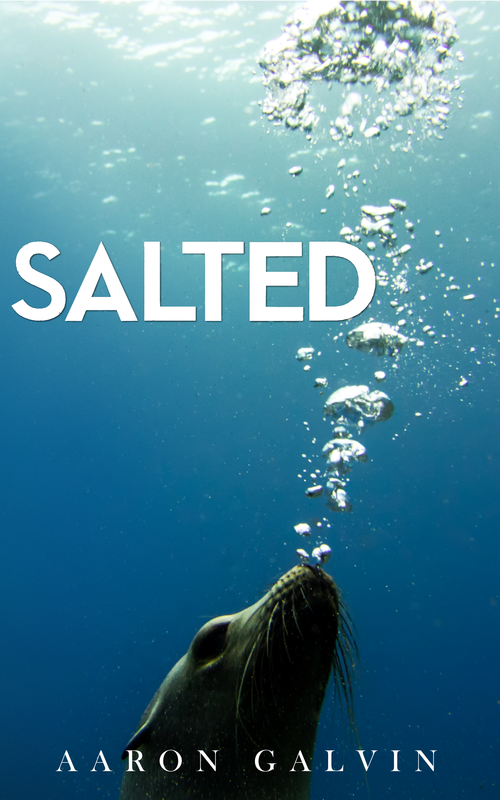 As the tagline suggests, “life isn’t better under the sea.” Salted does put some quite common elements of conflict in front of the reader, including bullying, high school drama and teen crushes. But you won’t be comforted by the familiarity of those themes for too long. A host of characters in this story are stuck in slavery. Some of whom, called “catchers”, are charged with hunting down runaway slaves. There is rumored genocide by a particular character known only as “The Silkstealer”. There are undertones of possible sexual abuse in “catcher for hire” Henry and his slave girl, Chidi. If forcing some slaves to chase down runaway slaves isn’t enough, many of these catchers like their job. They take pride in it. They bask in their reputation as a catcher and even view runaways as traitors to their kind. This mindset takes some getting used to. It seems quite contrary to the assumed nature of any slave that they might desire to return others to servitude. Galvin fleshes this out quite nicely though in one of the main characters, Lenny Dolan, who possesses just enough Bostonian accent to be liked, but enough cold-heartedness to root against his mission. To put it plainly, there are some very adult themes making headway in this that, were it a film, it would likely garner a PG-13 rating. Many of these elements are not explored in much detail, but simply left to brood on the surface. This succeeds in providing some intrigue and leaving the reader curious as to certain decisions made by the characters. Salted is sure to grab your interest at the onset. The characters are wide-ranging enough for about any reader to find “their guy”, and the story is a strong one with a lot to offer. As many of the ads for this books have suggested, this is the first in a planned series of novels Galvin is calling the “Salt Series”. With that knowledge, Salted provides a great starting point in which to dive into! You can purchase Salted on Amazon and Smashwords. 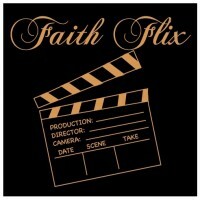 Also check out the Facebook fan page for the series, as well as Aaron’s website for the latest updates. ← Captain America: The Winter Soldier: How Do You Stop a Dude with a Metal Arm?